When it comes to British Columbia wine touring, you’d be forgiven for making a beeline to the Okanagan Valley; 120 wineries are tough to pass up. But for something different, consider nearby Thompson Valley, which includes Kamloops, a semi-arid desert city of 85,000. 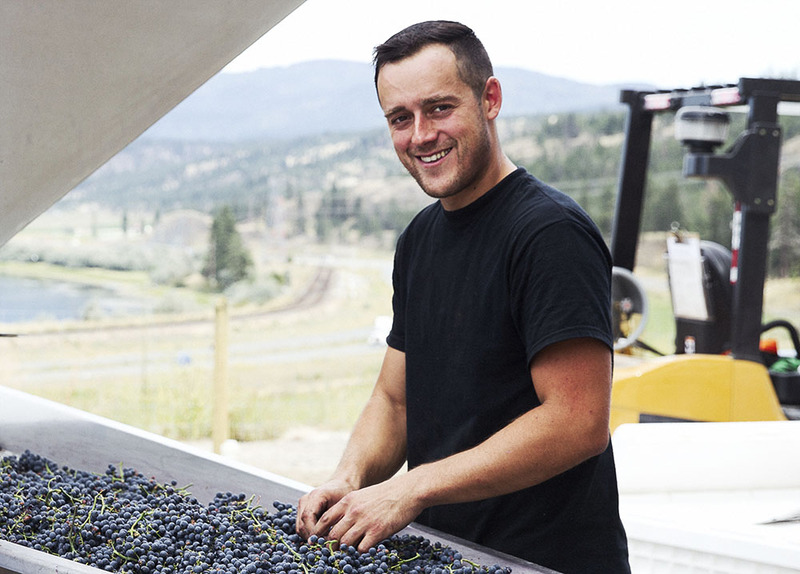 Just four hours from Vancouver and eight from Calgary, and a stone’s throw from Kelowna, Sun Peaks Resort and the Shuswap, the region — featuring four wineries, two brew pubs and a cidery — is now a rising star on the BC scene. Once associated with tumbleweeds, cowboys and a gun-toting trout of a mascot (Google “Kami the Fish”), Kamloops has become increasingly sophisticated while maintaining its frontier charm. You won’t find much evidence of Kami today, though ranching and farming continue, with hops grown locally. The area has attracted an eclectic group of oenophiles and foodies who’ve left larger centres to create something new. Here are just three of many spots to visit. Originally from Edmonton, Mitch Forgie and his wife, Edna, own Red Beard Cafe, a bright spot on Kamloops’ developing North Shore. Once just a daytime coffee shop, Red Beard has expanded to feature a full menu, thirteen rotating taps of craft beer and local wine. They also helped found a beer festival, Brew Loops (September). Stop in for breakfast and some of the best espresso in town, or time your visit with one of their special dinner-series events with unique six courses sourced locally, each with an accompanying beer (a recent one included Oregon’s Ale Apothecary Sahalie Wild Ale). The place to be. Not to be confused with Red Beard, Red Collar (a tip of the hat to the resident dog) is located in downtown Kamloops. The 80-seat taproom, founded in 2014 by Munich-trained world traveller David Beardsall and family, features an open space with concrete floor that brings to mind Vancouver’s Yaletown or a tech startup. You’ll find at least 10 beers here, including IPA, Dubbel, Tripel (9%) and a Belgian Witbier; what makes them special is the Kamloops water, which is similar to Pilsen’s (used in Pilsner). Sample them all during a lively happy hour with locals and hipsters, or pick up a bottle, squealer or growler to go. The Kamloops Wine Trail is right off the Trans-Canada, making it a convenient stop en route. Make one of those stops Monte Creek Ranch. General manager Erik Fisher arrived in Kamloops after 13 years with the Okanagan’s Peller Estates. Today he oversees this winery, which covers 1200 acres on both sides of the Thompson River. Have lunch on the scenic patio under the Lion’s Head Mountain while sampling a variety of whites and reds, including the 2015 Riesling, 2014 Frontenac Gris, and the 2013 Foch. Or try the grassfed Black Angus cattle beef jerky, haskap berry jam and honey from onsite bees. For the truly adventurous, there’s Sweat & Sip (yes, that’s bootcamp with wine). Whether poring over the etymology of newly discovered words, researching the latest woodworking technique or tracing the history of the sweater, an avid sense of curiosity guides Katia Jean Paul. That and an insatiable desire to deliberate on the aesthetic pleasures of the world, be it fashion, art, culture, architecture, design, food or travel. While she is a minimalist dresser at heart, she voluntarily lends her palate to every and all experiments of the culinary kind.